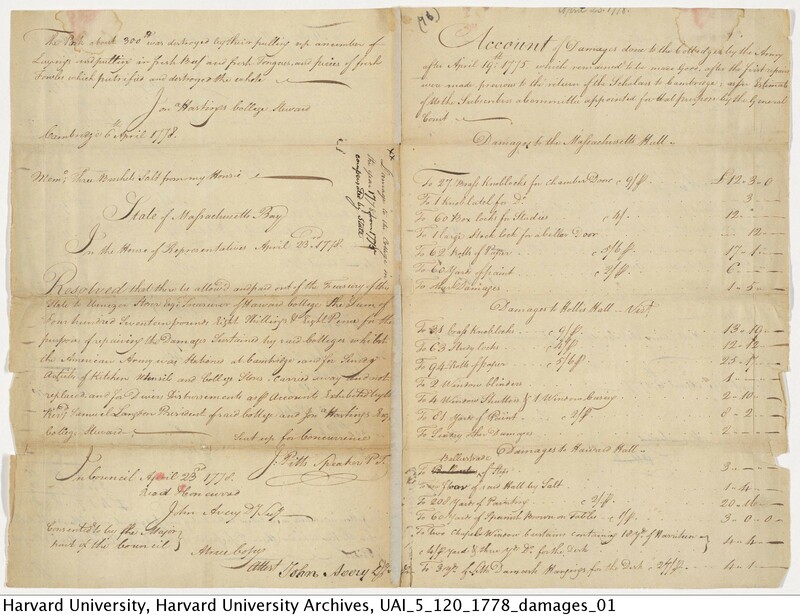 Group transcription: Annotated almanac, 1775, from the John and Hannah Winthrop collection. 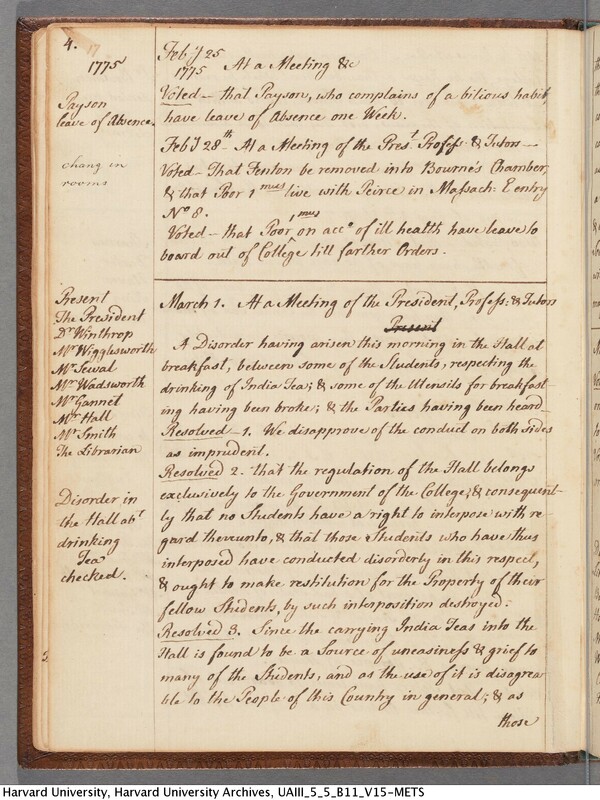 Pair 1: Account of damages done to the College by the Army after April 19th 1775, submitted April 6, 1778. 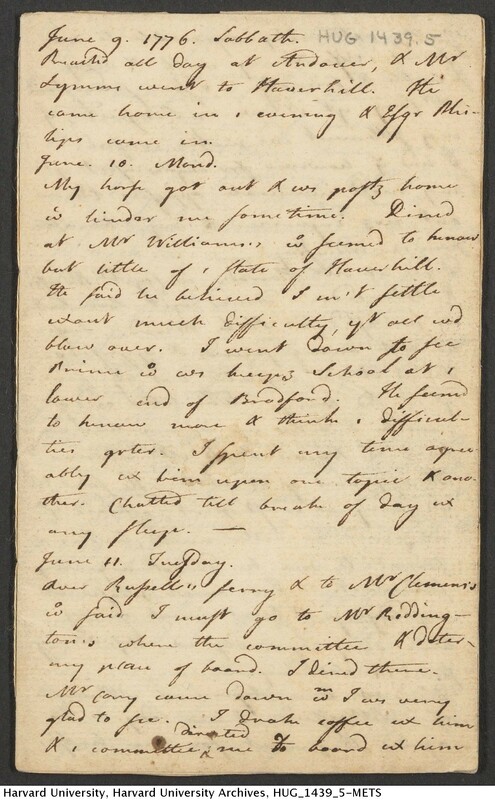 Pair 2: Diaries of Benjamin Guild, 1776 and 1778. 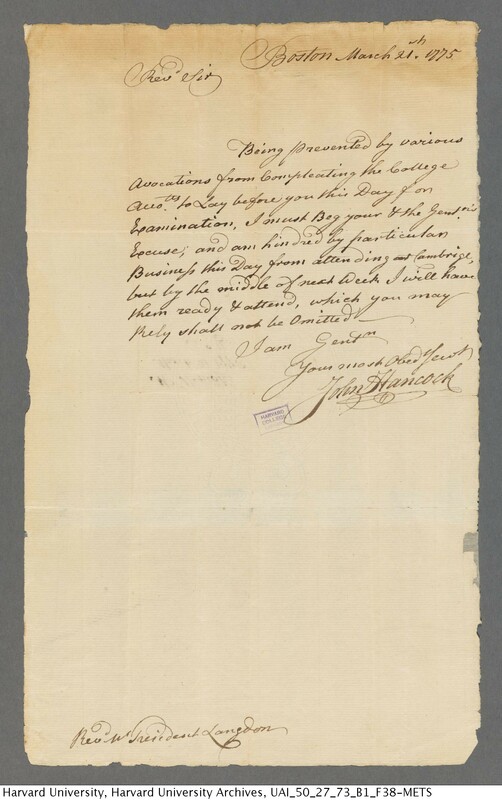 Pair 3: Minutes of the Harvard faculty, 1775-1781. 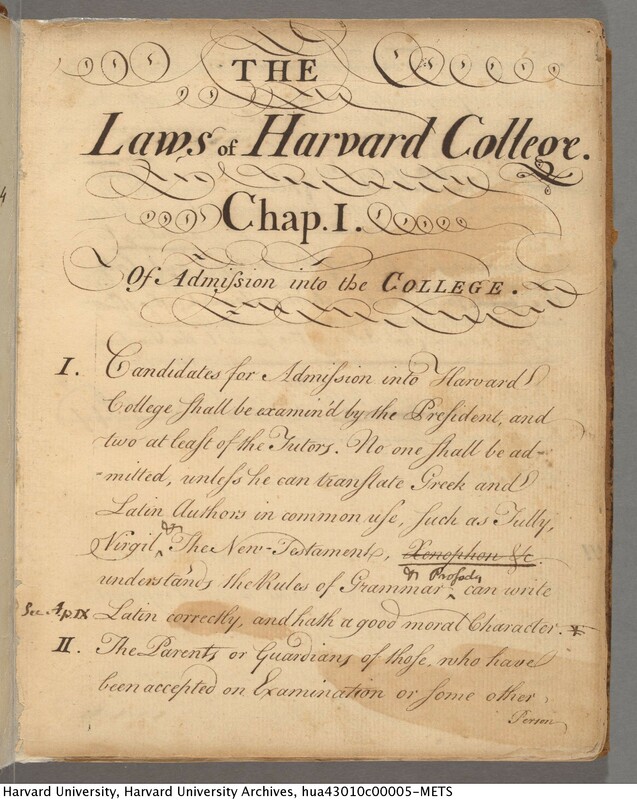 Pair 4: College Laws, 1767. Pair 5: Letters, 1775-1776, from the John Hancock Collection. Harvard appointed John Hancock as Treasurer of the College on July 30, 1773. But Hancock's attention to the College waned as his civic responsibilities increased. By the beginning of 1775, he was nearly unresponsive to the repeated pleas of the College for information about its financial status. For more than two years, the Corporation tried to manage the school's funds while requesting action from their Treasurer. 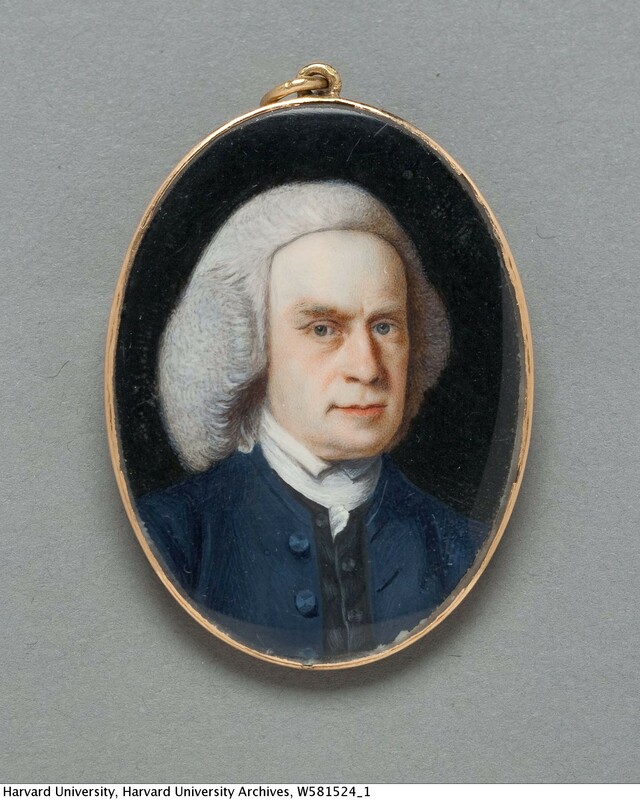 The Corporation elected a new treasurer on July 14, 1777.